One of a kind journal with a unique work of art on the cover. 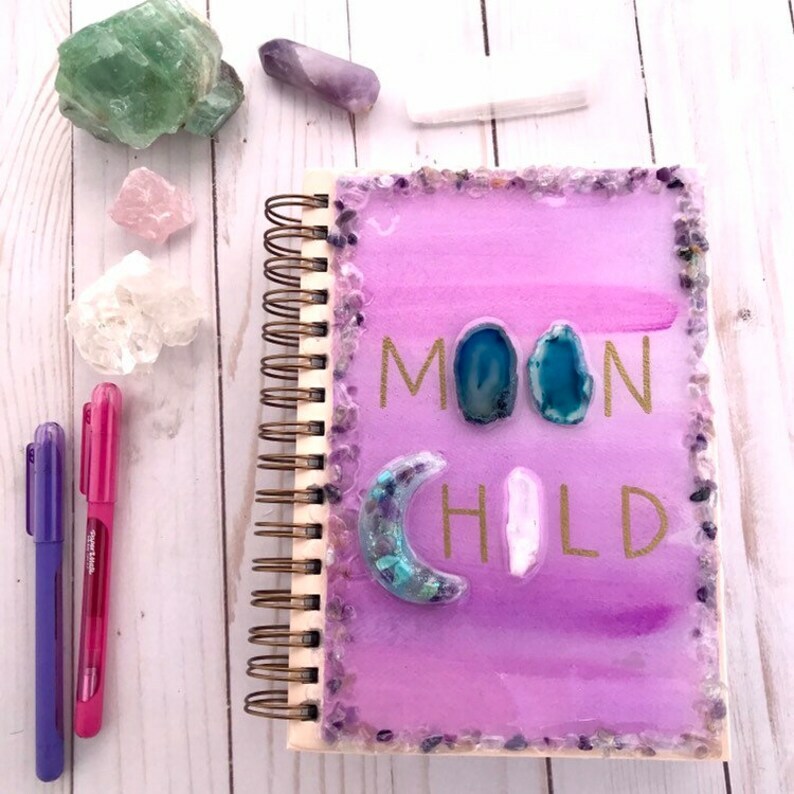 Agate, fluorite, quartz point, resin moon filled with turquoise and amethyst and water color, hand lettered gold embossing “moon child” all sealed in resin. Approximately 8.5 x 7 inches.